Blessed Being, as you incarnate into the Earth experience, you are subject to the collective field of creation. It is the nature of this connected physicality to reflect the inner into the outer experience. The reflexive nature of duality is that the mirror offers perspective and ultimately, choice. For thousands of years, Earth and humanity had lost the structure of knowing that reflected the full picture of connection. You have been rebuilding this structure through time, as your natural evolution into a connected species progresses. In order to support this structure, the inner work of your sovereignty and freedom is paramount, so that you are able to utilize the strength of diversity of the physical experience and the connection of the invisible, subtle realm unity. Innocence is often mistaken for youth or ignorance. Yet it is a powerful energetic of openness and excitement for knowledge. We would call Innocence a passive force: it does not merely seek to consume, it seeks to connect. Because it is a natural openness, it is subject to consumption in physicality unless it is carefully guarded. How do these two opposite energies; the openness of Innocence and the inaccessibility of guarded protection connect? Through choice. As a child, the Innocence is guarded by the parents as they teach the child to make healthy choices for the self. As an adult, the Innocence is often lost because the openness has been barred by fear. Ideally, it creates compassionate strength and discernment. Innocence is the inner-sense. The unique, unfiltered, non-judgmental sense of life. It is not ignorant, it is curious. It is creative, playful, and nurturing. As your inner sense of self is nurtured to play and choose with life, you are actualizing your creativity and life flows boldly through. The crystalline structure of your inner sovereignty and freedom supports your flow. 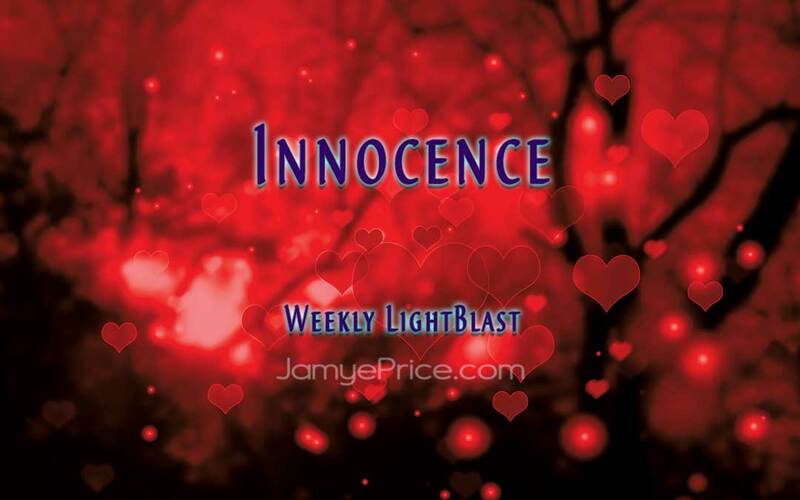 How free is your Innocence to flow? Your Innocence is your inner sense of joy with life. 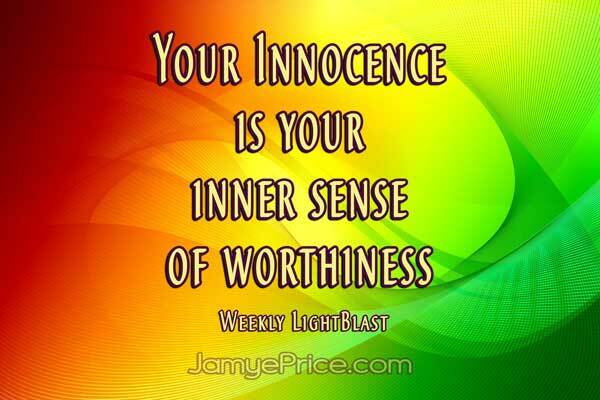 Your Innocence is your inner sense of worthiness for life to share itself with you. Your Innocence is your inner sense of connection to potentials of co-creation. What are you sensing within? As we sit to Blast Innocence, we are strengthening our inner sense of joy to play freely with life. We are letting the whispers of love soothe the cries of fear for forgotten freedom. We are sensing the love within each being, even if it is invisible at the moment. We are protecting our inner sense of self, honoring life’s sacred love for us as we create a new path for love’s flow into this world. We are the Innocent, those strong enough to love when fear has tried to consume us from the outside in. Those that have not forgotten the divine freedom of love within. Blast on! Hi Shekinah, I’m writing to ask if you know what’s going on with some of the YouTube channels being deleted this weekend? One that I have read for years, Mario Gattoaladino, is suddenly gone. And I think there are some others too. If you know anything, please let us know. Thanks and blessings of light and love! !